3 months later, I begin to look back at my experience as being part of the Foot of the Door Scheme and my role during the run of the festival. As I sit here typing this whilst listening to David Bowie's reflective song, 'Sunday' I think of the how my time from meeting my team members at Withington fire station, how we all immediately bonded through expressive and character building exercises. finding that confidence to talk to a large crowd and taking control of the situation. With each developing step I learned a new skill through the mentors in our weekly workshops and how they expanded our knowledge of the theatre world and the many roles that are involved with each production. When it came to being accommodated to a work placement with companies associated to the Festival, I was over the moon to be selected to be working with Dreamscope TV in filming the Festival's progress from Publicity night to the grand opening of the 24/7 Theatre Festival. Working alongside Darren throughout the process, my skills in camera work have helped me understand how to plan a scene from different angle, sorting the light balance so the footage doesn't appear too blurred or too bright for editing. Secondly I learned from Darren and the Dreamscope team was the different equipment used for each project and how to set them up properly and make sure that everything was clear and working properly. My experience with the 24:7 Team, Dreamscope and my fellow team members, I have a deeper understanding of the Manchester Theatre scene and its growing development as well my new skills that I never knew I had or had developed through my experiences. Since the Festival I have used my new and developed skills to create and develop new productions both stage and film. I have begun production on directing my first short film, 5 Minutes Alone alongside Sic Infit Productions, an independent film company. After three days of capturing the events, plays and performances all on film, it's time to put it all together. Wanna know how the process works? Then please check out my second blog, 24:7 Theatre on 24MM to delve deeper into the editing process as I complete my placement with Dreamscope. This year the 24:7 Theatre Festival continues to thrive as one of the most respected and important theatre festivals in the Northwest. With its cocktail combination of comedy, sadness, abstract and absurd, there is one play that stood out and affected me the most. James Harker’s play is a powerful, brutally honest and creative tale of brotherly love as we follow the lives of Andrew and his ‘special’ brother Gary from childhood into adulthood. The play follows the evolution of the brothers and the experiences they had together from seeing their first football match as young boys to both self pleasuring themselves at the same time in their in the same bunk beds in their young teens. But as the play continues, things begin to change. Gary, the young child full of life and an everlasting love for his Barney Rubble toy begins to turn into a self-destructive hoodlum, full of anger and lost hope, leading him into a downward spiral of regret and fear. Andrew tries his best to support his little brother, but the more he tries to help Gary the more he begins to lose hope in saving his fallen brother. Harker’s play is filled with electrifying moments that can twist the emotions of the audience from laughter into tears in an instant. This could be seen in the middle of the play in which a paranoid Gary, afraid that his house is going to be attacked by a rival gang, and as the characters wait in silence, the tension begins to build like a rising heartbeat. All of a sudden Gary screams an animalistic roar and swings a metal rod around in furious anger, the audience were all pushed back in their sits, blown away by the character’s will to survive. Only to reveal a devastating shock that effects both the young Gary and the eye-watering crowd. Craig Morris’s portrayal the title character is phenomenal. Morris brings a life force to the character of Gary which is key as he brings the childlike characteristics and flowing energy that is recommend for this role. Reuben Johnson, who plays Andrew gives powerful performance as well. Johnson brings the correct amount of focus in telling the boy’s adventures to the audience as well as showing the character’s struggles and vulnerability in trying to save his brother. Both the actors as fantastic together, bouncing off each other with their fast delivery of the dialogue and performances. Both bring the correct amount of power to counter each other as they portray the brother’s bond and frustrations. This can be felt in every scene change, especially in one particular scene where Andrew visits Gary in prison, only to see a damaged boy in front of him. Credit must be said about Danielle Mcliven’s skilled direction. Mcliven breathes life into this piece with her box filled staging, with each box containing a different item that moves the story forward and takes the audience deeper into the brothers lives and understand how they came to be who they are. This is a fascinating approach in storytelling that I have never seen before in any production and you can tell Mcliven has put her heart and soul into making sure that this modern tragedy does not lose momentum and that Harker’s writing is given the proper treatment and care it deserves. I must warn audiences that Gary: A Love Story is not an easy watch. In one performance, when Andrew hears tragic news from the prison about his brother, I saw a woman crying so hard that she had to leave. This play is both personal and raw. This is a story that speaks truth about our society and The Justice System. But what holds it together is the true love between Gary and Andrew. A Triumphant De Force about brotherly love and brotherly hate. I highly recommend that you see this show whenever you can and hope that Gary: A Love Story is up there in the greatest theatrical works of the 21st Century. So this it where it all kicks off. Want to see the action from behind the camera? Wanna see each moment from the 3 days of theatrical gold? then please check out my other blog, 24:7 Theatre on 24MM to get the scoop on every single moment within the festival and eht energetic atmosphere. Walking up the stairs into a small social space at the Zip Room, a small cafe based in Stretford, I found my group in a wide circle, preparing for the Workshop. The workshop was run my the members of children's theatre group, Colour the Clouds. The workshop's subjects focused on organising your own theatre company and working Freelance. Catherine ran the first workshop which was a breakdown in setting up your own theatre company. Catherine began buy telling us about her company, and what their goals were as a team, creating a theatre company that created shows for younger audience and from that goal they have developed a strong theatre group that is respected and has performed a number of shows for many theatre festivals. Firstly we discussed what should be the goals of being a self-employed and established Theatre Company like what you wanted to achieve with your theatre group (what kind of shows would you like to produce, finding funding, sharing profits). She also pointed out the main things that would be required to keeping you theatre company active from making sure that your team is in for the long ride and that you know which role you are within the group, from treasurer to the advertising. She also discussed the importance of make marketing your company and making a name for yourself. Whether that be marketing research to find out what theatre audiences want to see in a show to having a engaging tagline that attracts the audiences attention. From this the group can create a new and engaging show. But it was an opportunity for us to sharpen our skills and to try new things as a collective. The third subject that was covered was writing a Tax and Risk Assessment. Catherine explained that it was easier to write it as a group rather than individually as it would make the process more fun and could be completed without struggle. It was also important to keep a log of all your expenses and to research everything. It was also suggested that if we needed help better understanding on how to write a form, that Equity, The Acting establishment has a program which helps new theatre companies and performers to write it without any problems. The final discussion was based on self promoting your company and making a name for yourself. How a your company could be used to promote yourself or to network with other creatives. Catherine also told us that if our first show is a failure then it is important to try again and learn from your experiences. Catherine also spoke of branding and marketing your company by working with local theatre companies or branded shirts and prgrammes with your company logo and use it to capitialise your partnership. Using basic social media as well to spread the worked and get noticed. It is also importtant to look back at your mission statement, to remind yourself why you created this group in the first place and to have a three to five year plan for future reference and change. The second workshop was based on the subject of working Freelance and the ups and downs of the role. We all introduced ourselves to Sarah and she begun to discuss with us her experience as a freelance theatre director and writer and opportunities that it provides. Sarah told us that being freelance is based on managing your own career as well as making your own opportunities and knowing what job roles you want to succeed in whether it be a director, technician or other jobs in the arts industry. Working freelance also gives you the opportunity to work with others who share the same passion. There are certain skills that are required working freelance. You must have strong communication skills, knowledge and experience of the industry as well as the role you are applying for and always networking with new creatives and people who share the same passion as you. Arriving at the museum and being unable to find the room at first, I managed to find the room where my group were. We were introduced to one of the guides of the museum and she took us on a tour of the museum and showed us a selection of paintings within the museum. The paintings were fascinating, one painting was a black and white portrait of what appeared to be an outline of a Rhino but yet was titled Death. Another painting was a rare 17th century portrait which depicted a woman in her death bed and surrounded by an Earl and their child. However in the painting also had also included a ghostly figure in the background, appearing to be the ghost of the Earl's wife who has died and who is watching her family above. Our guide told us that although a painting or portrait may appear and appeal to us and we can have our perspective on what the artist is trying to portray, it can also be translated in many different forms whether it be what we think the artist is trying to depict or what another person's view is. After a short break we were introduced to five guest speaker. James Baker: A known theatre director and member of Assembled Junk Theatre Company. Laura Lindsay: An actress and writer and stage designer and member of Assembled Junk. One by one they would each explain to us their background and challenges they each experienced and how it has been a building block towards their selected career path. Whether it be James starting as a drama teacher or Grant jumping from job to job trying to support himself and to gain funding for his projects. Laura starting as an actor before finding a creative side in stage design. Hannah finding new methods of art marketing and how to raise money for certain projects. To Laura Sharp starting using network skills to build her career. We would ask them questions and they would answer with some helpful information. One person asked James how he approaches a directing job, in which he replied that a directors job is to build a team and sharing the stage with right people that inspire. I asked a question for Grant about film making, since I was starting directing a short film I asked what was required for a film shoot. He replied by saying that a strong team, basic equipment and the motivation to go forward with the project, no matter what issue occurs. Always keep going forward and make it happen. This truly inspired me and I have kept this in mind during the pre-production of my project. I had to leave early due to a performance I was involved performing that day. To get the latest on my experience filming the Launch Party for the 24:7 Theatre Festival at the Comedy Store, go the my link to my Dreamscope filming blog, 24:7 Theatre on 24MM where all my photos and placement working alongside Dreamscope Tv in filming the festival. I made my way to the PANDA offices, based in Dale House near Northern Quarter. Reaching the fourth floor and entering hr office. I waited for Anne-Marie to finish her meeting with a member of my Foot in The Door team. After her meeting was finished, we both greeted each other and she led me to one of the offices of the Panda facility and we began our discussion. She asked me how my progress was with Dreamscope was going in which I replied that I had a meeting with Darren and had a better understanding of my role within the team and what equipment I would be using from the he told me in the interview. I was impressed that I had made contact with Dreamscope and got to Darren and the team. Our second discussion focused on The Arts Awards, a specialized program designed for the members of Foot in the Door and was to showcase the works of each member of the group and their progress and the different methods they used to keep their information stored in order to be presented to a professional collective. Each member would gain an award for their presentation and vast showcase of their experiences and commitment to the festival and what they learned in the process. The third discussion followed my process of development as a creative person, my path of wanting to be involved in media work and a better understanding of Videography. 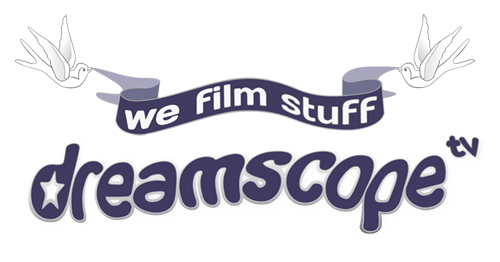 Working alongside Dreamscope would give me a better understanding of working alongside a film crew and how they approach each project. Anne-Marie suggested that I look at the business side of Videography, how does a film maker establish himself or gets involved with project and who do they do network with. 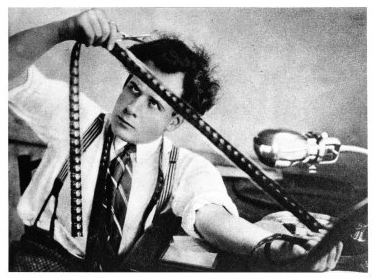 If there were any programmes, websites or festivals in the Northwest that supported new or established filmmakers. She also suggested of creating another blog or website following my film making progress as a way of showcasing my work and show people my personality and creativity. One website she showed me was CineClub, a website where film makers could contact each other as well as teaching the basics of filming and showcasing each others work. Plus their offices were based in the Manchester. Another website she suggested I search was Media Streets Arts. A company in the Manchester who run classes in marketing media, getting your name and work showcased online as well as understanding the business side and ethnics of the film making organisation and classes that were run by professionals and people who had experience within this field. She also asked me about my writing as well. I informed her that every now and then I would write either a piece of a short play or ideas that I wanted to adapt to page and hope to develop to either stage or screen. one idea was a short play about a woman at a restaurant who goes on a dinner date with the Grim Reaper, both acting like a loving, arguing couple while he is truly there for a client who is about to die in the restaurant. 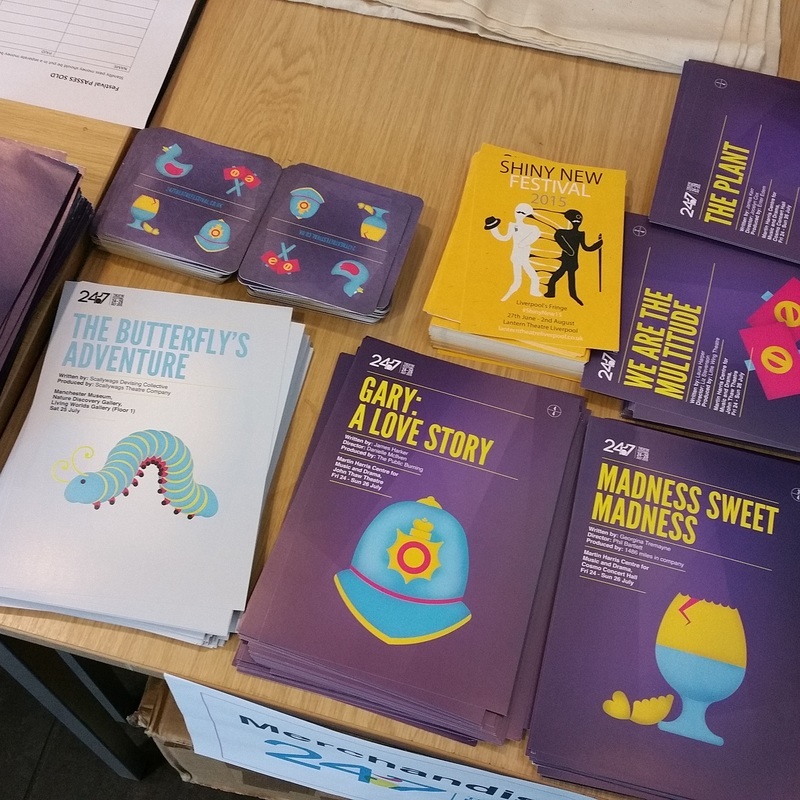 She suggested that I looked at a number of websites and a number of festivals that support new writing like the New Writing North festival which was an event that showcased new theatre writing in the North West. The final note that Anne-Marie suggested was that I look further into my role for the Media Launch for the Festival and discuss with Darren what I would be doing and what would be required of me. After the meeting, Anne Marie showed me the offices of PANDA and informed me that each member of the Foot in the Door Scheme get a free membership with PANDA and regular updates about jobs and events based in Manchester. I was very pleased with the meeting as it gave me more insight in what I have to do and I had a number of resources I could look into for develop as both a director and a writer. It was a sunny day among the city of Manchester. I was on my way to the Kings Arm's in Salford. The King's Arms is a highly respected and historical pub which has been the iconic place for new plays and writing from spoken poetry and music, as well as its vast selection of ales. This would be the location for the next Foot in the Door Workshop. A collection of multi lessons, teaching the different and creative aspects of wiritng, statging, directing, producing and many more. Each workshop would be taught by a guest speaker.I had selected to attend the writing workshop as I had a key intrest in developing my writing skills as well as well hearing a professional discuss how they approach writing a script. Francesca was the guest speaker for the New writing workshop. She was of team of Monkeywood Theatre, a new writing company that take new scripts and help develop that piece to get it performed on stage. the group have been together for 12 years and have performed three shows at the 24:7 Festival. We all introduced ourselves in a circle our writing experiences and we hoped to achieve in the workshop. Francesca discussed with us what makes a good story and how Monkeywood choose their scripts. What many producers and directors are looking for is a script that is exciting, something that could have an impact on the audience. She asked us which play we have seen or read that had an impact on us and why. We each told her which play had an impact on us whether it be the works of Kevin McDonald's Pillow Man or Simon Stephen's Punk Rock and why. She explained us us that a good script has a strong narrative, good use of language and structure. She put it best by saying 'write your first draft with your heart, write the second draft with your head'. She then made us draw a triangle in our notebooks and at the left side bottom of the triangle wirte 'exposition'. Then we we would follow the triangle upward we wrote 'complications' and climax. Then when we went down the right side of the triangle we wrote 'falling action' and resolution. This was the structure that each script should follow. Another exercise that Francesca made us do was write a short story about someone we saw this morning whether it be on the bus or while on our way to the venue. We had 3 minutes to write a short background on the person we selected and we each shared what we wrote. We did a second exercise in which we wrote dialogue from our character's perspective and what we thought they would have said in a conversation. Near the end of the workshop, Francesca suggested that we buy a book called 'Into the Woods' by John York, a celebrated playwright and left us with 10 questions that he asks each writer. 4-What is the in sighting incident ? 5-What obstacle comes the character's way? 10: How does it end? After lunch, I attended the next workshop. The Desgin workshop focused on desgining the music and stage for a production. It was run by Owen Rafferty, a sound technician who was involved in the production of Lucia's Cox's One Hand Clapping production that just came back from touring America and being crowdfunded. Set designer Laura Lindsay of Assembled Junk was there as well to discuss the methods and process of creating a set and adapting the directors vision to the stage. We started the workshop by reading a script from a play about an small hut in Ireland near a beach where Irish soldiers are posted during World war 2. In a small group we had to discuss what sounds would be required to create the illusion that the play is set in a beach area and what props would be required to show to the audience that it was a small cabin and it was wartime. We shared our lists 'for sound ocean, seagulls and strong winds''. and props 'propaganda posters from that era, imported boxes, lamps etc''. Owen and Lindsay discussed that sound and design is a collective role, working together to create the director and writer's vision and to share your suggestions and ideas to have your own creativity. They both began discussing the process with the production with One Hand Clapping. Owen discussed how we had to find and edit footage from sixties adverts and mixing that with music to create the plays multi media side which covers the plays subject of capitalism. Laura discussed how she had to research fabrics and pictures of the sixties decade including home and interior to create the staging of the piece as the pieec is set in the mid sixties. They showed us images and pictures that we looked at and researched in order to get a better understanding of the decade and the production and set photos to show the tools and equipment they used to make the piece come to life. They also showed us photos of the TV's that they had to design and the tour around America. Owen also discussed the programmes that he used to edit and cut the footage and where he found the music on certain websites and royalty free sites like blue box and sound bible. Lindsay began her presentation on stage design and brought in a small model design of a large 18th century house and there were small miniature characters on the the set as well. She discussed how by creating a miniature model can be a useful tool as it can give the director an idea of what the stage would appear on stage from the notes that are on the script and within the production notebook. 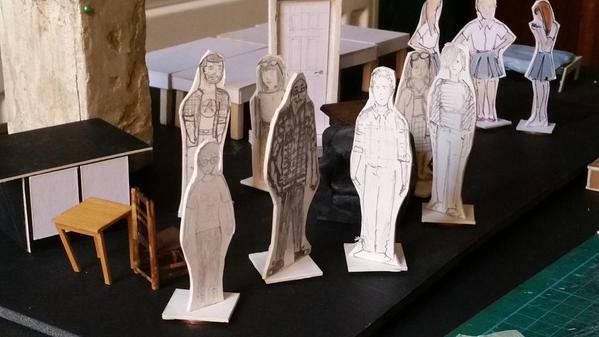 The small characters could be use to show the height of each prop and where the actor could enter and exit. Lindsay also showed us the tools that are required to build a miniature set from a cutting board, white card paper and glue. Near the end of the exercise, Lindsay made us create miniature characters of ourselves for the stage and add every detail on our character from costume to facial structure. We each competed our characters and layed them on the stage, creating a ensemble of small characters on a big set. 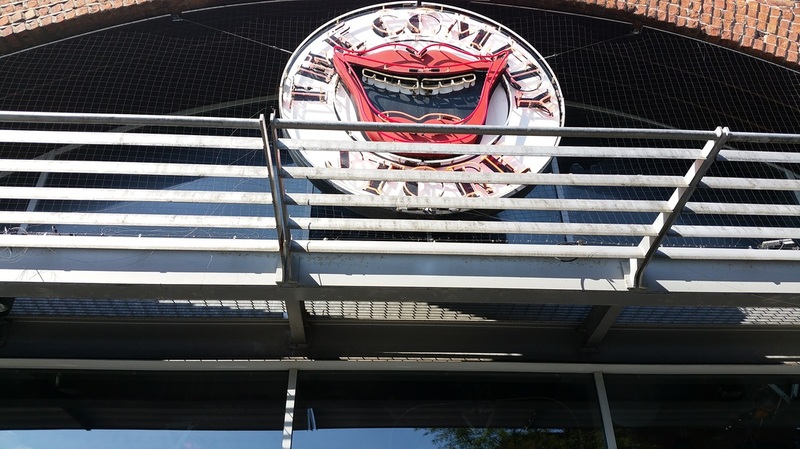 with nerves running through me and determination, I was on my way to Salford Quays to the headquarters of Dreamscope TV, where I would be working with the team to film the evolution of the festival. I was there to Meet Darren Hutchinson, founder of Dreamscope and who I would be working closely with in my placement at the company. There I would ask him the many questions that I needed answering and to prepare myself for what was to come. If you like to read my interview with Darren Hutchinson you can read the full interview by going onto my second blog, 24/7 Theatre on 24MM, which covers my placement with Dremscop and my experience.